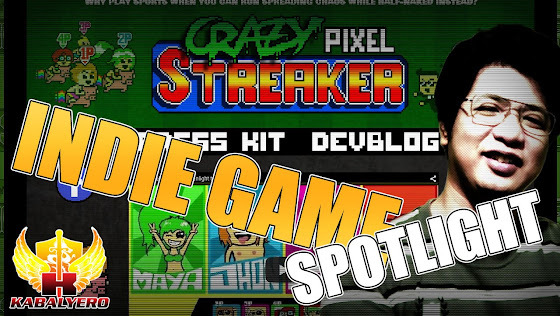 Crazy Pixel Streaker ★ Indie Game Spotlight - KABALYERO - PLAY, BLOG & EARN! Crazy Pixel Streaker is an indie game that uses Pixel Art Graphics and it's freaking CRAZY. Over a week ago, I downloaded a demo version of an Indie Game called Crazy Pixel Streaker after stumbling upon it in STEAM Greenlight. Unfortunately, I only got to play it yesterday and I had a great time playing it. The gameplay is very simple and the controls are easy to learn. Obviously, the graphics of Crazy Pixel Streaker is Pixel Art and I think its a perfect style for this kind of game because it made the game more fun and crazy looking. Anyway, I'm not going to bore you with a very long blog post about Crazy Pixel Streaker but I will tell you guys to check this game out. Now, if you guys did get a chance to play Crazy Pixel Streaker and you guys had fun playing it then why not vote yes to it in STEAM Greenlight.